Last updated 3/9/2009 by David Giblin. Publication: Enum. Orchids U.S. & Canada. 22. 1924. Notes: Taxonomy follows FNA. Varieties weakly defined,intergradient with broadly overlapping ranges, and need more study. Variety maculata is reported to flower 2-4 weeks later than var. occidentalis. » Freudenstein, J. V. and J. J. Doyle. 1994. 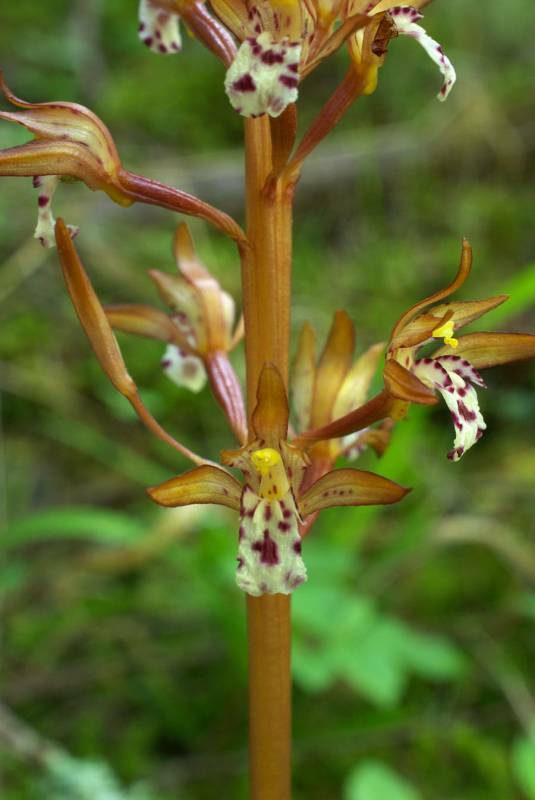 Plastid DNA, morphological variation, and the phylogenetic species concept: the Corallorhiza maculata (Orchidaceae) complex. Systematic Botany 19: 273-290. Corallorhiza multiflora Nutt. var. occidentalis Lindl.